This is gaming news for May 16 - 20. This week’s gaming news is only suitable for the comically rich. Preorder tickets to the Assassin’s Creed film for $1,200, preorder OmniBus and get a real bus, and Croteam announced Talos Principle 2. Okay, that last one is fine for not-so-rich people too, as long as pondering philosophy won’t throw you into an existential crisis. This is gaming news for the week of May 16 - 20. We’re less than two weeks out from more Witcher 3, so here’s a grand ol’ Blood and Wine trailer to sate your thirst. It’s time for another iteration of “Raise money for The International,” with Valve’s special guest: The Compendium. For the unaware: The International is Valve’s big annual Dota 2 tournament, and The Compendium is a Dota 2 item that ties into viewing the tournament in a few major ways, gives players some items, and—key to the whole thing—helps fund the prize pool for the winning teams. And it’s huge. Last year’s prize pool topped $18 million. Expect this year’s to surpass that number before the finals in August. Hell, it’s already a third of the way there, passing $6 million less than a week in. I wasn’t a huge fan of Unravel, finding it about as boring as it was beautiful. Still, maybe a sequel can nail it? EA seems to think so, announcing that it's continuing to work with developer Coldwood Interactive and confirming to PC Gamer that it’s for a second Unravel game. In other sequel news, Croteam is reportedly working on a Talos Principle 2. One Damir Đurović says it was mentioned during the Nordic Game conference, as spotted by Rock Paper Shotgun. Sure, we probably won’t see Kojima’s new game for like, a decade. 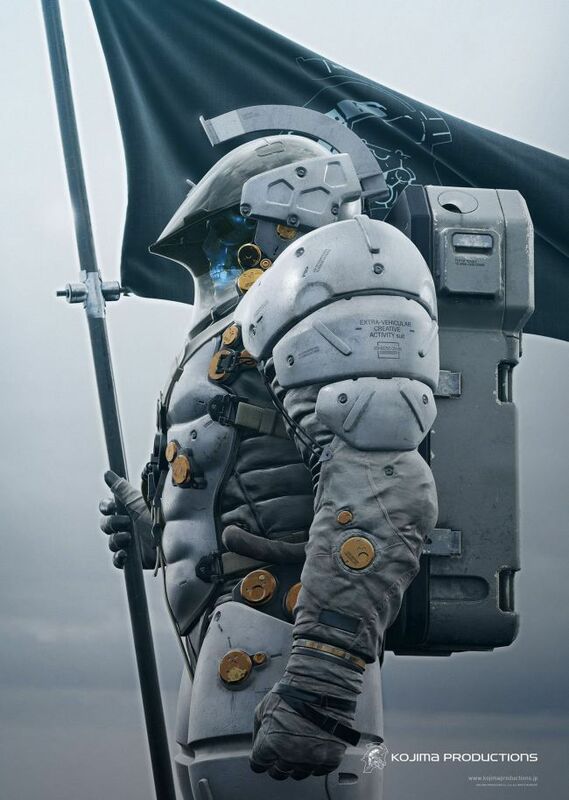 But hey, this new Kojima Productions image is pretty cool. Hopefully it’s enough to tide you over until a teaser, five years from now. I’m pretty damn excited about Shadow Warrior 2, but that’s not the only project at Flying Wild Hog these days. There’s a remaster of the studio’s earlier FPS Hard Reset in the works, dubbed Hard Reset Redux. It’s arriving June 3, and maybe this is just what I need now that I’m done with Doom. Would I take an animated Overwatch film? Yes, yes I would. Blizzard’s been consistently cranking out pretty damn good short films about the shooter’s characters, and this new one (about Hanzo and Genji) is no exception. How much would you pay to see the almost-certainly-mediocre Assassin’s Creed movie in December? Ten dollars? Twenty? Would you pay one thousand, two hundred dollars? Because you can. Kernel is selling ticket packages to the film, including a $1,200 tier with a 1:1 scale replica of a crossbow, “featured in the upcoming movie and used in a pivotal scene.” Thrilling. 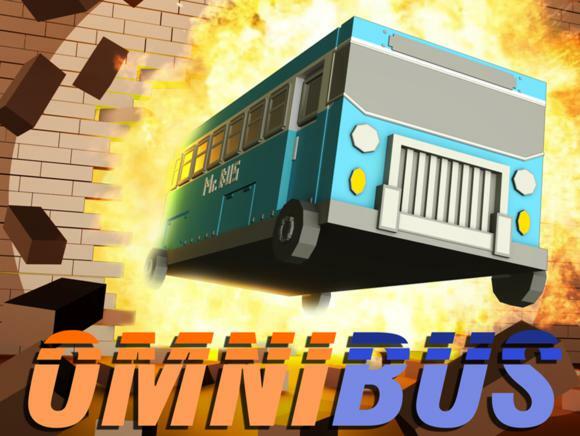 OmniBus, a “next-to-last gen physics game about the most powerful bus in the universe that can’t stop or even slow down for reasons incomprehensible to the simple human mind,” hits Steam next week. Great. Fine. The crazy bit? 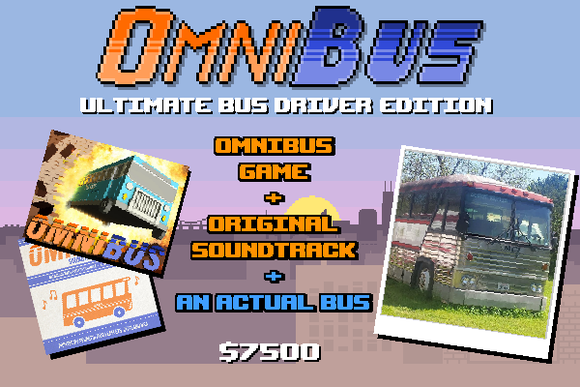 The top-tier “OmniBus Ultimate Bus Driver Edition” costs $7,500 and (get ready to groan) comes with...a bus! Like, a real bus that you can pick up from its current home in Austin, TX.